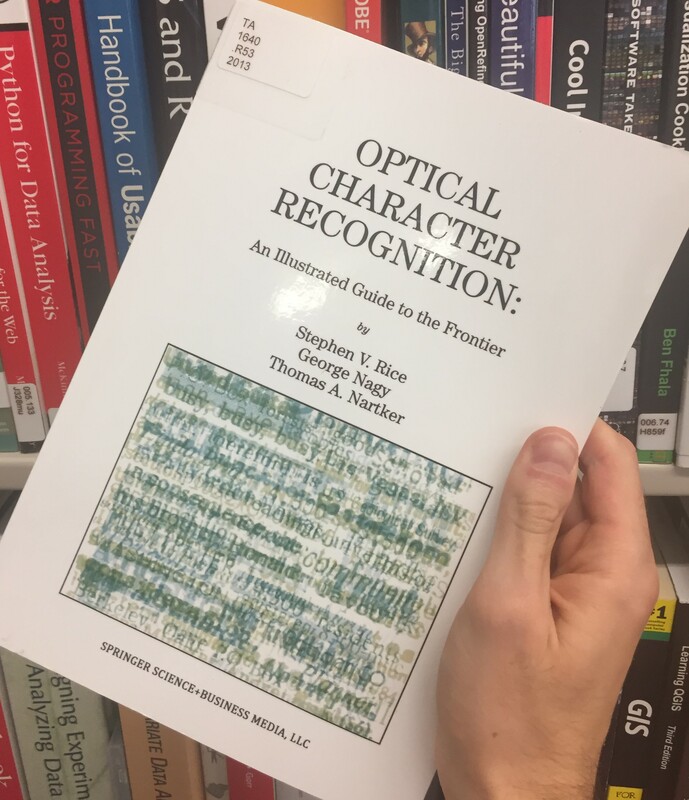 Stephen V. Rice, George Nagy, and Thomas A. Nartaker’s work on OCR, though written in 1999, is still a remarkably valuable bedrock text for diving into the technology. Though OCR systems have, and continue to, evolve with each passing day, the study presented within their book still highlights some of the major issues one faces when performing optical character recognition. Text is in an unusual typeface or contains stray marks, print is too heavy or too light. 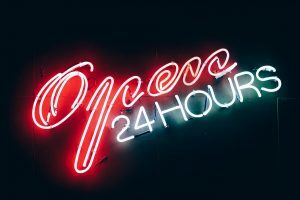 This text gives those interested in learning the general problems that arise in OCR a great guide to what they and their patrons might encounter. The book opens with a quote from C-3PO, and a discussion of how our collective sci-fi imagination believe technology will have “cognitive and linguistic abilities” that match and perhaps even exceed our own (Rice et al., 1999, p. 1). The human eye is the most powerful character identifier to exist. As the authors note “A seven year old child can identify characters with far greater accuracy than the leading OCR systems” (Rice et al., 1999, 165). I found this simple explanation so helpful for when I get questions here in the Scholarly Commons from patron who are confused as to why their document, even after been run through and OCR software, is not perfectly recognized. It is very easy, with our human eyes, to discern when a mark on a page is nothing of importance, and when it is a letter. Ninety-nine percent character accuracy doesn’t mean ninety-nine percent page accuracy. In summary, this work presents a great starting point for those with an interest in understanding OCR technology, even at almost two decades old. Give it, and the many other fabulous books in our reference collection, a read! Hailed by one of our librarians as a brilliant and seminal text to understanding data visualization, the truthful art is a text that can serve both novices and masters in the field of visualization. Packed with detailed descriptions, explanations, and images of just how Cairo wants readers to understand and engage with knowledge and data. Nearly every page of this work, in fact, is packed with examples of the methods Cairo is trying to connect his readers to. Cairo’s work not only teaches readers how to best design their own visualizations, but goes into the process of explaining how to *read* data visualizations themselves. 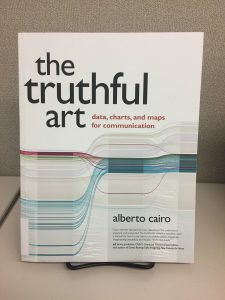 Portions of chapters are devoted to the necessity of ‘truthful’ visualizations, not only because “if someone hides data from you, they probably have something to hide” (Cairo, 2016, p. 49). The exact same data, when presented in different ways, can completely change the audience’s perspective on what the ‘truth’ of the matter is. The most I read through the truthful art, the harder time I had putting it down. Cairo’s presentations of data, how vastly they could differ depending upon the medium through which they were visualized. It was amazing how Cairo could instantly pick apart a bad visualization, replacing it with one that was simultaneously more truthful and more beautiful. There is specific portion of Chapter 2 where Cairo gives a very interesting visualization of “How Chicago Changed the Course of Its Rivers”. It’s detailed, informative, and very much a classic data visualization. Then he compared it to a fountain. The fountain was beautiful, and designed in a way to tell the same story as the maps Cairo had created. It was fascinating to see data presented in such a way, and I hadn’t fully considered that data could be represented in such a unique way. the truthful art is here on our shelves in the Scholarly Commons, and we hope you’ll stop and give it a read! It’s certainly worthwhile one! 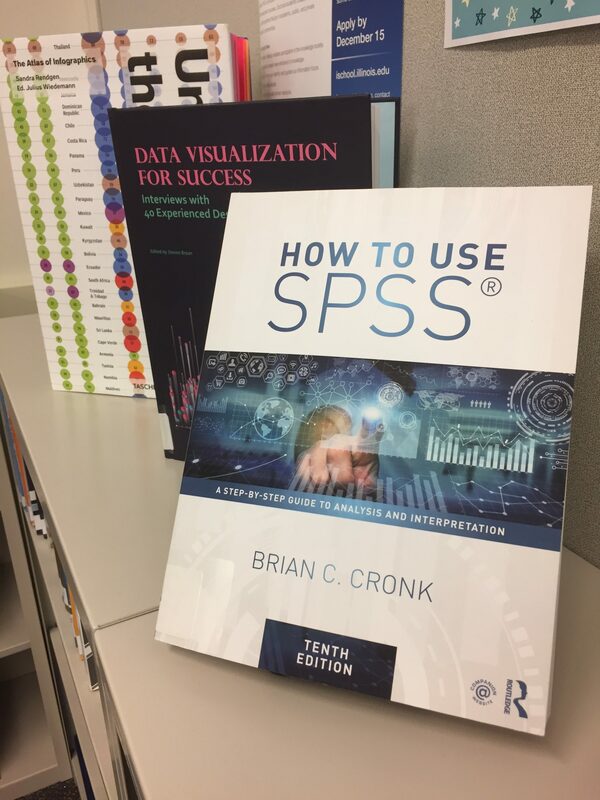 Real, live reviews of Brian C. Cronk’s How to Use SPSS: A Step-By-Step Guide to Analysis and Interpretation by some of our patrons! This book, the Tenth Edition of this nine-chapter text published by Taylor and Francis, is ripe with walkthroughs, images, and simple explanations that demystifies the process of learning this statistical software. 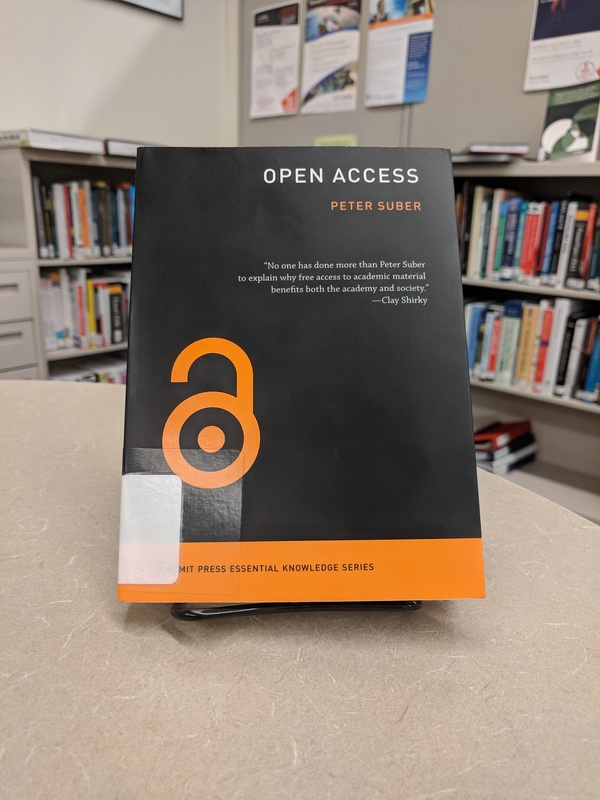 Also containing six appendixes, our patrons sang its praises after a two-hour research session here in the Scholarly Commons! SPSS, described on IBM’s webpage as “the world’s leading statistical software used to solve business and research problems by means of ad-hoc analysis, hypothesis testing, geospatial analysis and predictive analytics. Organizations use IBM SPSS Statistics to understand data, analyze trends, forecast and plan to validate assumptions and drive accurate conclusions’ is one of many tools CITL Statistical Consulting uses on a day-to-day basis in assisting Scholarly Commons patrons. Schedule a consultation with them from 10 am to 2 pm, Monday through Thursday, for the rest of the summer! We’re thrilled to hear this 2018 title is a hit with the researcher’s we serve! 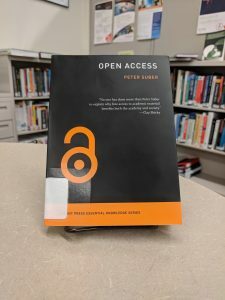 Cronk’s book, and so many more works on software, digital publishing, data analysis, and so much more make up our reference collection – free to use by anyone and everyone in the Scholarly Commons!